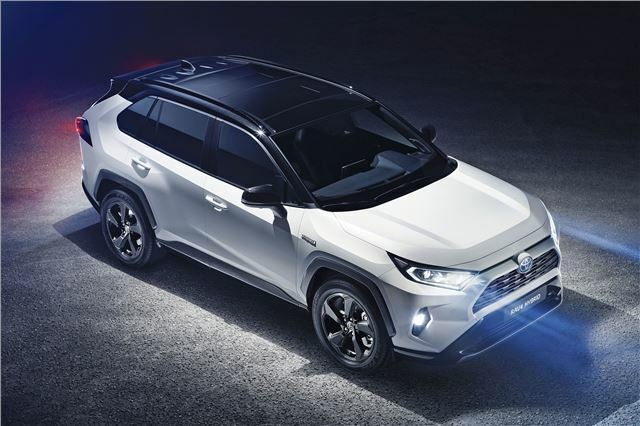 5th generation Toyota RAV4 built on TNGA platforms, featuring new 2.0 litre 180PS 'Dynamic Force' petrol engine, new hybrid drive system and new AWD system. 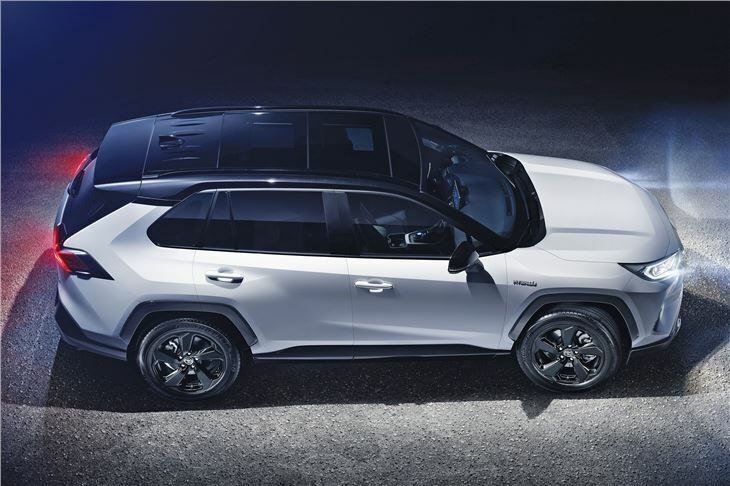 Launched 28th March 2018 at the New York International Auto Show, the 2019 fifth-generation Toyota RAV4 is built on Toyota TNGA (Toyota New Global Architecture) platforms with TNGA drivetrains shared with the Lexus UX which was launched at the Geneva Motor Show on 6th March 2018. 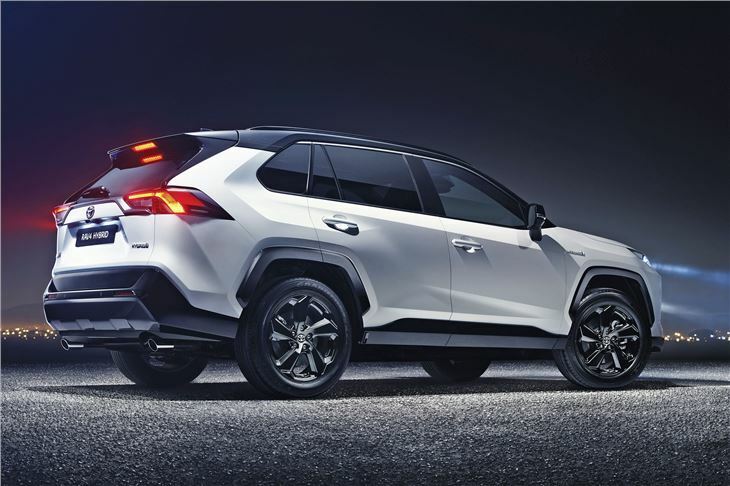 Has greater off road capablity than before die to higher ground clearance and shorter overhangs. 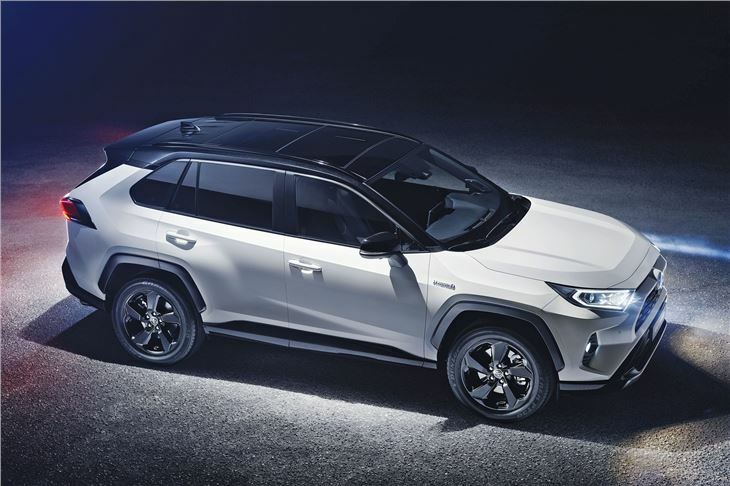 For the USA a new hybrid electric 2.5-litre powertrain combines fuel and emissions efficiency and quiet operation with more power and greater responsiveness. A new 2.0-litre petrol engine is also available and this forms the basis of the hybrid drivetrain in other markets. 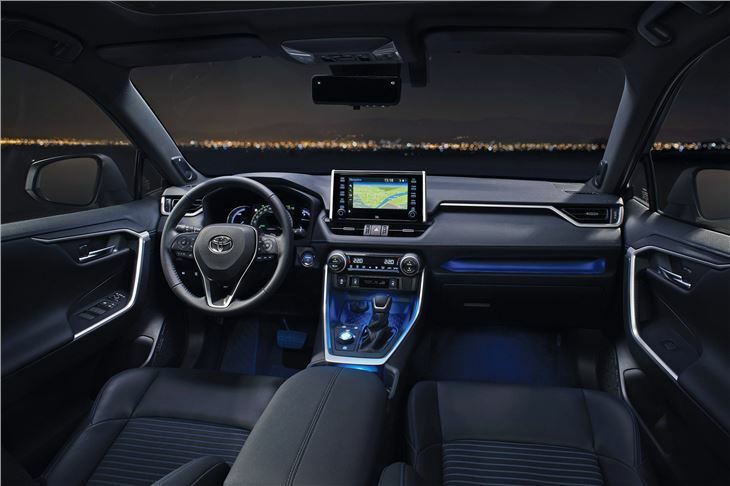 It is also available non-hybrid with a choice of manual or automatic ctransmissions. Driving dynamics are greatly enhanced with significant improvements to the performance of the all-wheel drive systems. For the hybrid version, Toyota developed a completely new electric motor drive that makes efficient use of power from the car’s hybrid system, using a second electric motor to drive the rear wheels to generate high torque. This reduces energy losses, contributing to greater fuel economy, and offers excellent AWD performance in different driving conditions. 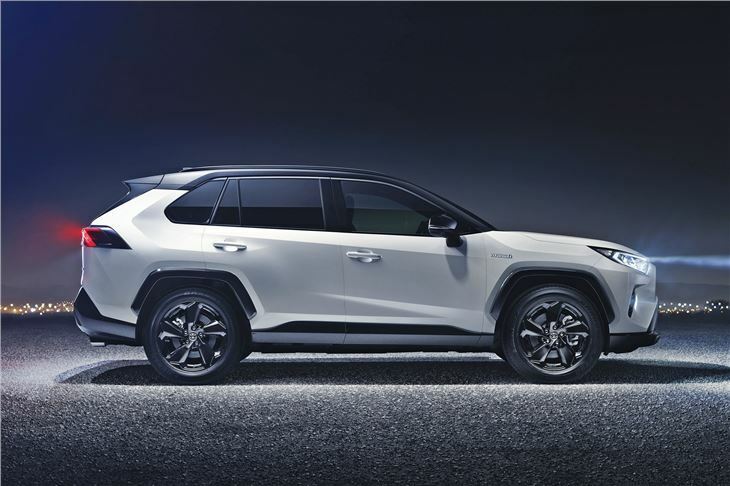 For the 2.0-litre non hybrid petrol model, the new mechanical AWD system has also been improved, featuring a twin coupling and rear disconnect on the automatic transmission versions.